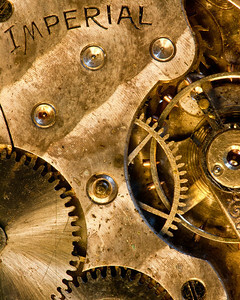 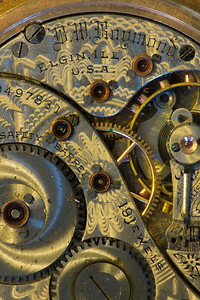 Close-ups of pocket watch faces and works. 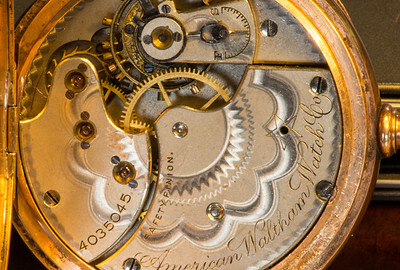 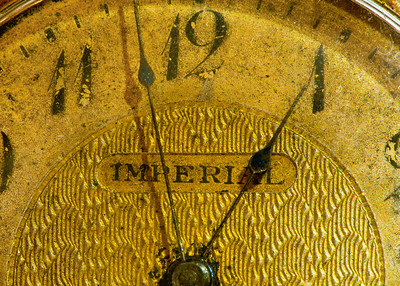 This American Waltham watch was manufactured in 1888. 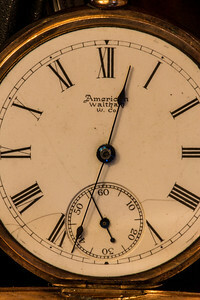 It has an inscribed with the date Oct 2nd, 1890. 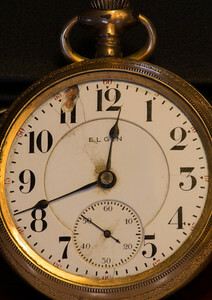 This Elgin watch was manufactured in 1903 and has been in my family from about that time. 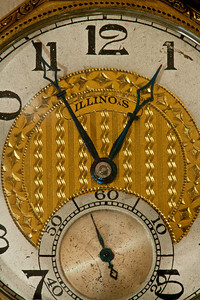 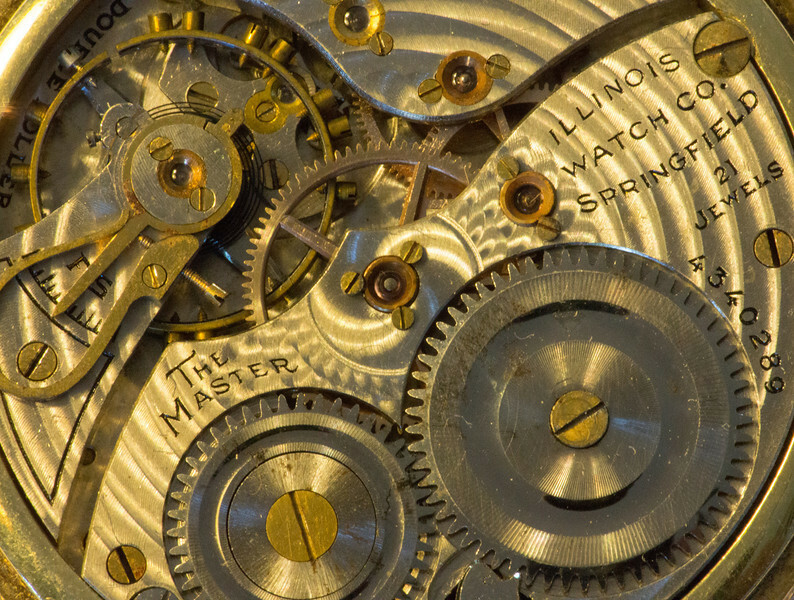 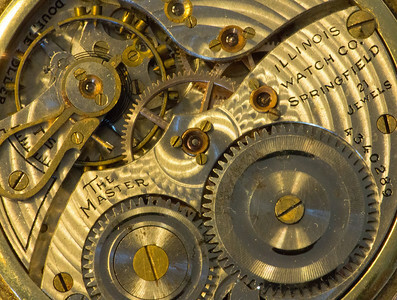 This Illinois watch was manufactured in 1923.